If you're planning a casual wedding in your backyard, sitting room or even a park, you don't have to miss out on the ''fun'' of a massive massive, you can have all the fun and even more fun with a simple beautiful ceremony. Plus the chances of getting a bridezilla is almost zero. Related Post: 5 Things to Know When Shopping for Your Wedding Dress. See food, décor, florals, and dress ideas from real weddings which is enough proof that casual celebrations are just as beautiful as their formal counterparts. 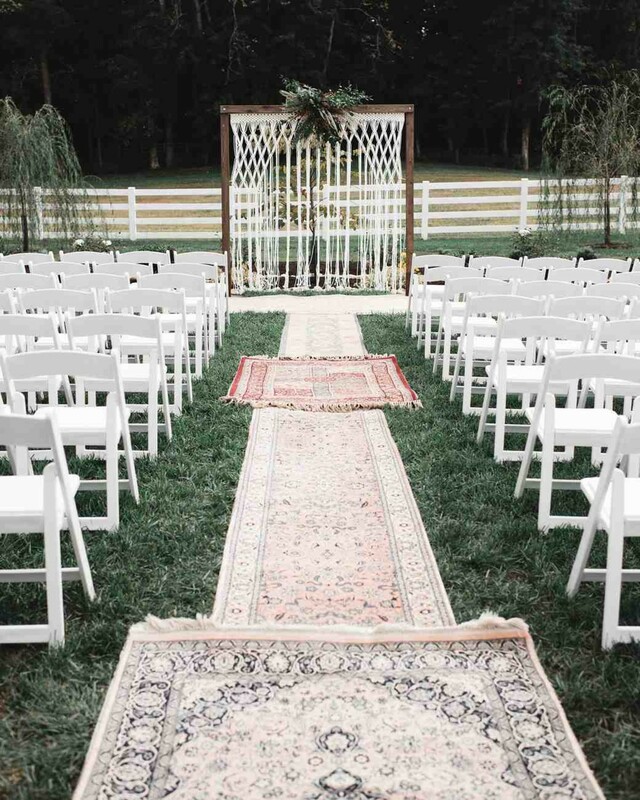 From lining your aisle with plush rugs and seating your guests at picnic tables to serving your favorite family recipe, there are endless ways to introduce laid-back details to your big day. And, the best part about all of these ideas? They're seriously conducive to a stress-free, lighthearted wedding.